Massive day for all you 'Express Yourself' lovers & twerkers , I dug up this gem that will get you moving up and down thanks to iMarkkeyz sick Jersey Club Music, New Orleans Bounce, Chicago Juke type of remix. HANDS DOWN, Tune of the Day. Pegboard Nerds going hard in the paint with their remix of 'Live For The Night' by Krewella. Incredibly energetic beats you would have to be either an alien or a robot not to like this track. Or scumbag steve. This tune has been a summer hit at festivals all over the world and now it has finally been officially released for your listening pleasure. Nicky Romero, SJ&RM, and Fast Eddie with 'Sound of the Underground'. Straight banger y'all. Steve Aoki, the party man himself, has remixed a classic party tune just short of a month ago but this track is fireeeeeeee. Great big room material from twoloud off the Musical Freedom record label. 'Big Bang' is just exactly that. Coming in with a smooth start and driving in through a sweet melody and drop. Big, big tune I would say, also look out a upcoming track with Tiesto and Afrojack. Yeeeeaaaaaaaaa, Skrillex and Alvin Risk. 'Nuff said. NEW ALBUM RELEASED. If you are a huge fan of Feed Me, then today is probably the greatest day in the history of all time for you. 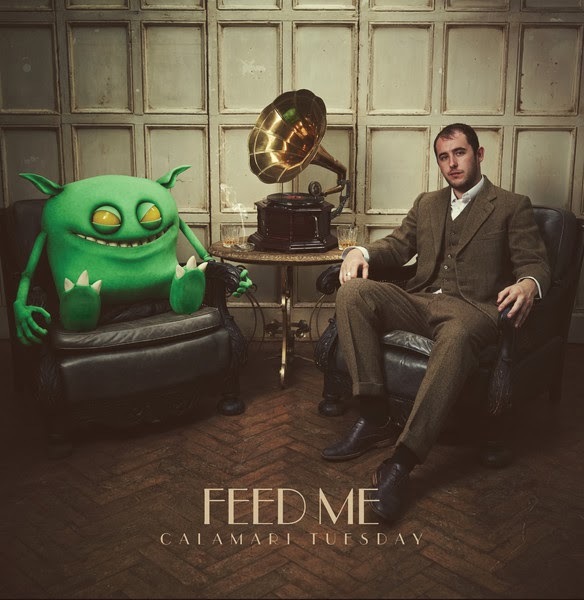 'Calamari Tuesday' features a total of 15 tracks that I assure will not disappoint any big time fan. Here's 'Rat Trap' to give you a preview of what's in store. This has been on repeat since the first time that I ever heard it. GRiZ with the awesome 'Heartbeat' trap bootleg. I'm telling you this song will get you hooked once you hear how good it's been remixed. 501 coming out with some sweet sweet dubstep to help cure your sickness. "And It Begins" fresh of Never Say Die Records, packs a powerful punch. Look out for those c-c-c-combos. If you dig the tune also listen to 501's new EP titled "Beat the System" loaded with new tracks.